This summer, Nozomi and I signed up for a CSA share from Early Morning Farm! 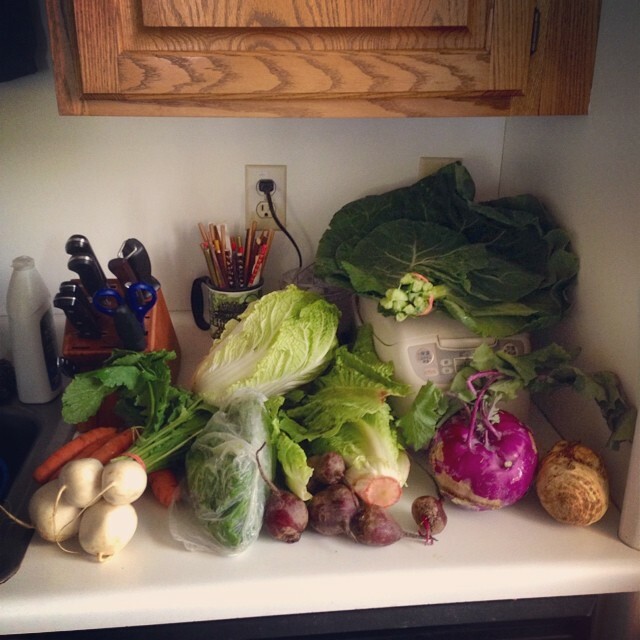 Here is the bounty from our 2nd week’s share: carrots, turnips, lettuce, nappa cabbage, collard greens, kohlrabi, beets, celeriac, and spinach. We are excited to experiment with some of these newer and unusual (for us) vegetables. Categories: Notes | Tags: eating local | Permalink. 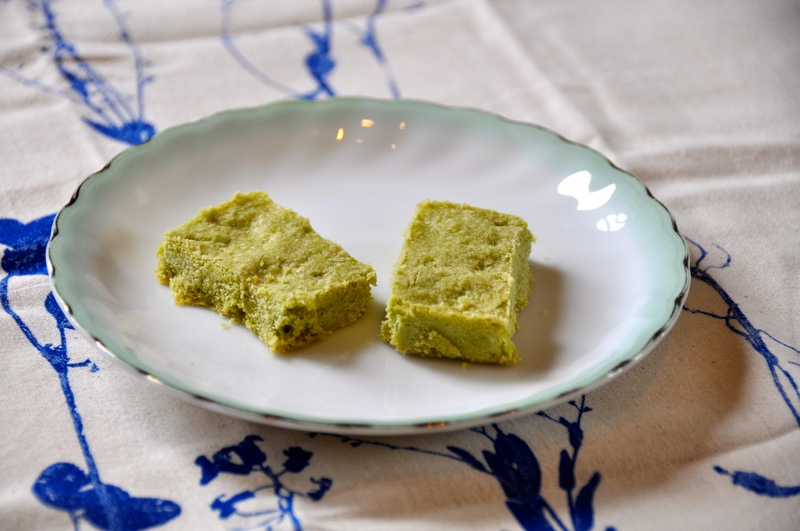 maple and matcha shortbread cookies | hello, world! The base shortbread recipe was adapted from The Joy of Cooking. Cream butter and maple syrup. Sift together flour, sugar, salt, and matcha. Mix dry ingredients into wet ingredients. The dough will be very crumbly. Press dough into a 9×9 baking pan. Bake for 25-30 min. 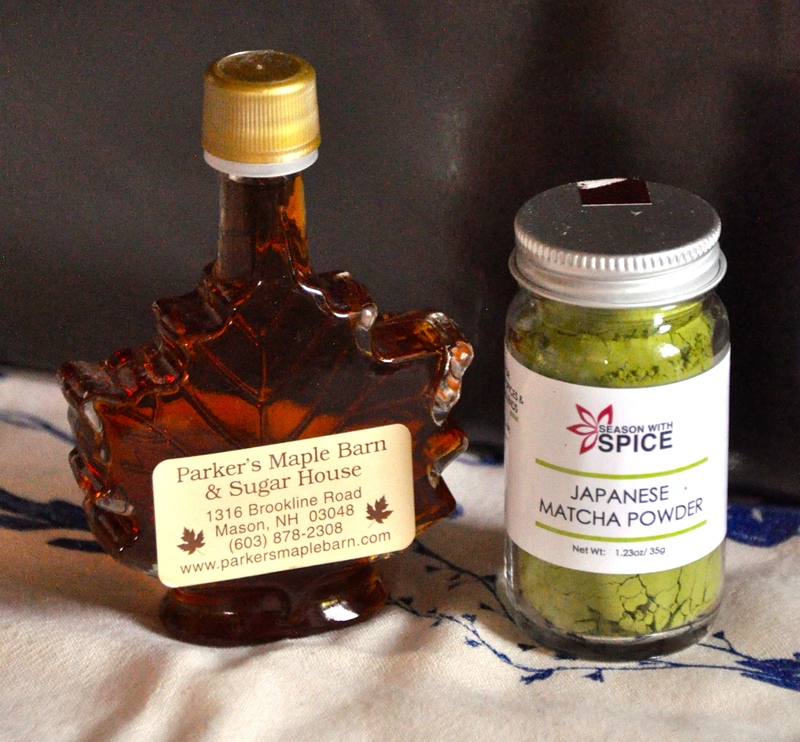 Categories: Recipes | Tags: desserts, Japanese food | Permalink.